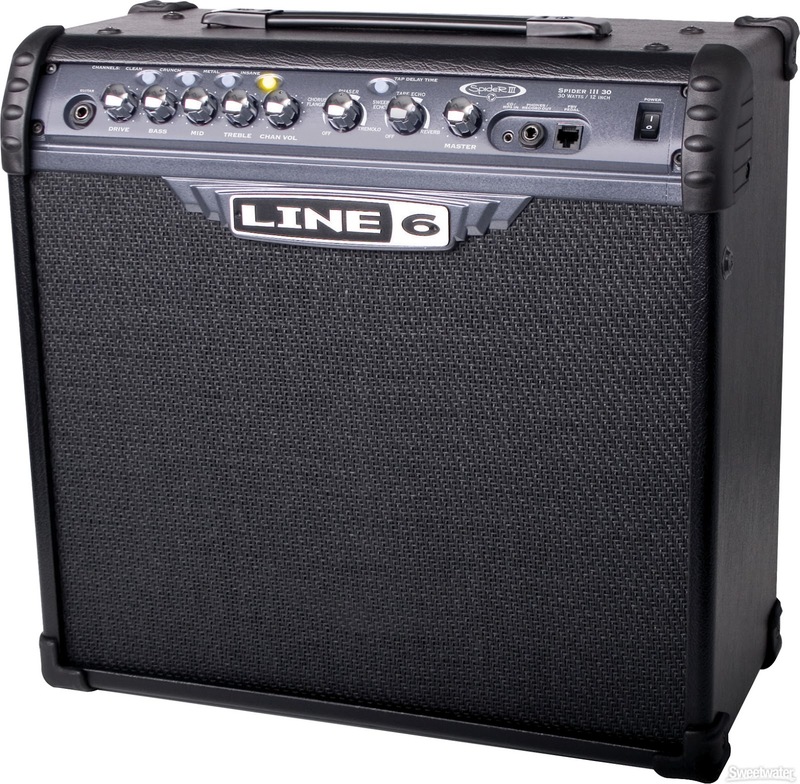 30-watt 1 x 12" Guitar Combo Amp with Celestion Speakers, CD input, and POD Direct Out for Recording. Line 6's Spider III offers an amazing variety of sounds with 4 remarkable amp channel models with Clean, Crunch, Metal, and Insane all dialed in by an amazing team of artists, and the Smart Control FX offers sixdifferent effect types, two of which can be used simultaneously including phaser, chorus/flanger, tremolo, sweep echo, tape echo, and reverb. Plus, the POD modeling Direct out lets you easily connect your amp to a mixer or recording interface to capture your riffs.